Three years ago, at the time when cryptocurrency started becoming a fad, many people started benefiting from a process called ‘mining’. Individuals resigned from their jobs, joined mining pools, and worked together to increase profit opportunities. 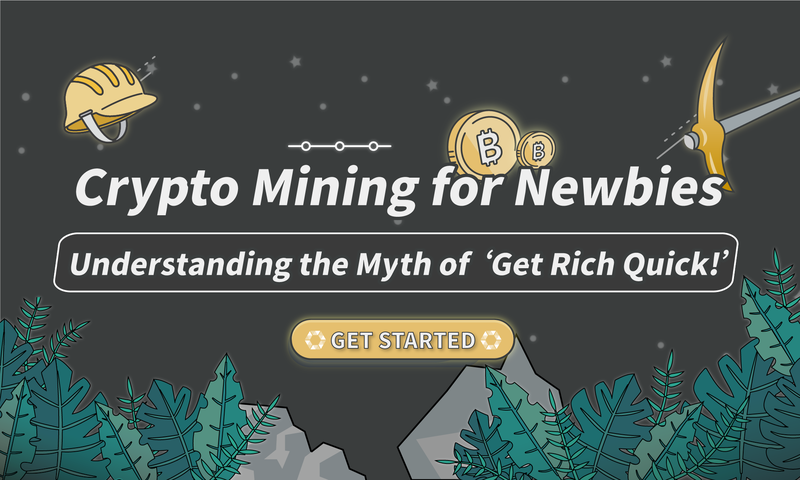 This week COBINHOOD will introduce you to the ‘mining circle’ so you can decide for yourself whether or not you would like to become a crypto miner! Have you ever wondered where the bitcoins circulating in the market come from? That answer lies under a group of people in the world of blockchain known as ‘nodes’. 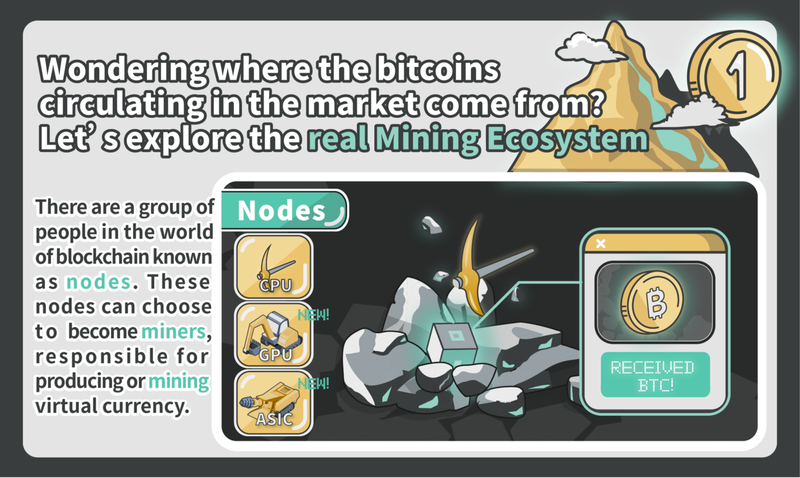 These nodes can choose to become ‘miners’, responsible for producing or ‘mining’ virtual currency. Mining is a way to assist in the construction and operation of the Bitcoin blockchain and in return, miners receive bitcoins as a reward. With the value of Bitcoin being high as it is, more and more people are investing in mining BTC. At the time the article was written, the price of 1 Bitcoin (BTC) is $5,077.33 USD according to CoinMarketCap. Can you believe it used to be around $20,000 USD at one point? Although the value has dropped down significantly, BTC is still undeniably very valuable, with many continuing to mine it. Trading is not the only road to earning crypto such as BTC, mining is another way, but how does it work? At the very beginning, the entire mining mechanism allowed people to use their own home computers to mine. As time went on, professional miners focused more on the computer’s CPU (central processing unit), GPU (Graphics Processing Unit), and ASIC (Application Specific Integrated Circuits), in order to improve mining efficiency. Usually, a mining system has to operate 24 hours a day 7 days a week, which consumes a lot of electricity and generates a lot of heat. They are normally equipped with fans or placed in air-conditioned rooms to dissipate all the heat produced. With so many miners and mining circles, you may be wondering, what is the prize for mining BTC? Just like any other industry, the mining ring is no exception to saturation. When the ring is overcrowded, who can actually mine Bitcoin? At present, we must first talk about the issue of the ‘block’ in the blockchain. Miners use mining machines to assist in constructing and maintaining the Bitcoin blockchain. Each machine needs to compute very complicated mathematical problems before each ‘block’ is produced. The human brain is not capable of solving these equations. Even the mining machines themselves use exhaustive methods to get the answers. The miner that solves the problem first gets a fixed amount of BTC. If y(a, x) <= 50，求 x = ? It’s understood that you must hurry to get the answer first, so you start to bring in various values of x. You probably agree that the faster, wiser, and most meticulous person is the most likely to solve the problem first right? It’s the same in mining. The system with the best computing power will most probably solve the equation first and get the reward for the block. It is worth mentioning that on the Bitcoin blockchain, people calculate the correct answer and get Bitcoin about every 10 minutes. In recent years, people have come to realize that relying on their own computer systems for mining is much more difficult to succeed in achieving rewards. It has become more common for groups of people to share a powerful mining pool to increase the chance of mining bitcoin and split the rewards afterwards. Do you think it is absolutely necessary to have a mining system to mine cryptocurrency? Trading Mining: This concept was first proposed by exchanges where transactions are a form of mining. In order to encourage users to trade cryptocurrency, trading users could obtain the corresponding platform’s currency according in return to paying the transaction fee. Social Mining: When users publish valuable and original content on social media, they can earn rewards from ‘social mining’. The rewards users receive are related to the impact of the content they posted. Simply put, the more traffic users bring to the platform, the more rewards they can obtain. 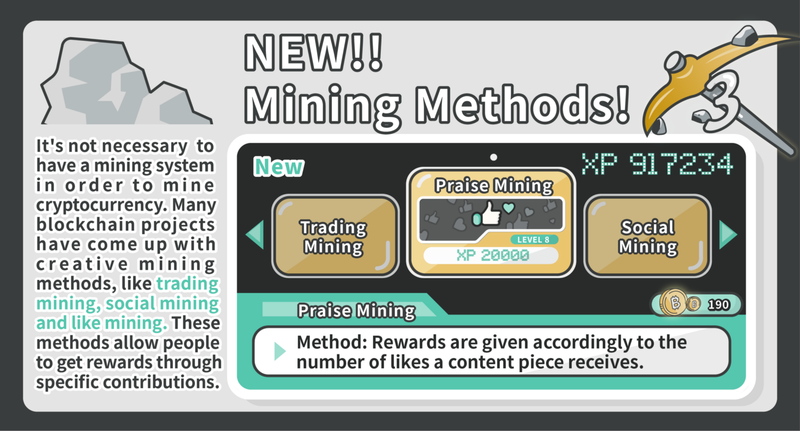 Praise Mining: Rewards are given accordingly to the number of likes a content piece receives on social media channels. With this week’s article you should have a basic grasp of mining cryptocurrency. In next week’s article we will be dealing with an important subject — Proof-of-Work (PoW) — so make sure not to miss out! Ready to start trading virtual currency? Then make COBINHOOD Exchange your next stop to get a ZERO FEE trading experience, and make sure to download our COBINHOOD APP and stay up to date with the latest crypto trends! Become part of our great community and join our social media channels!